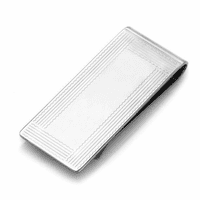 This sterling silver money clip will become his favorite men's accessory, and he might forget about his heavy, bulky wallet altogether! 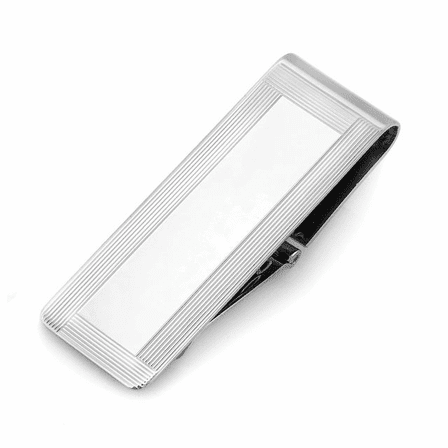 The mirror-finish solid silver clip features a ribbon border of fine lines that provide the perfect backdrop for custom engraving his name, initials or message! 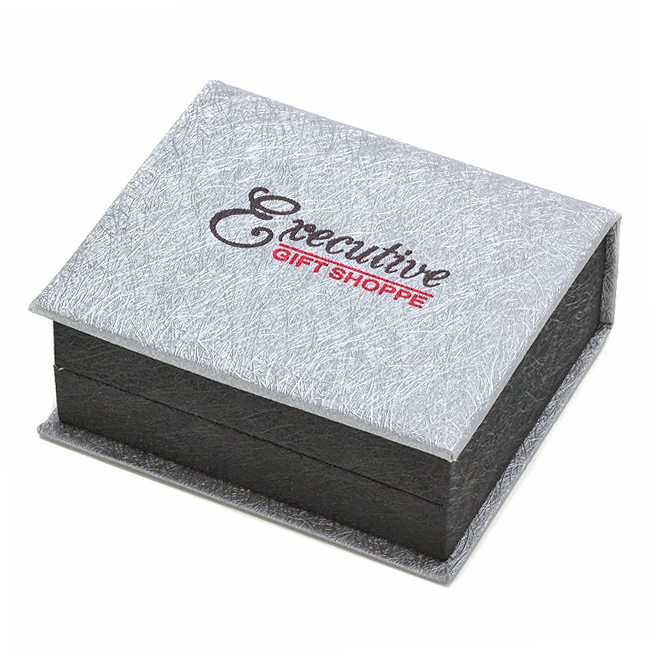 The unique hinged mechanism opens easily to add or remove cash, and closes securely to grip up to 25 folded bills. It comes in a gift box that's ready to present at just the right moment! Can i engrave my husbands initials and in a small corner put the number 25? I do not want it obvious. Sure, just write these instructions in the comments section of our checkout page. Our engraving department will see your instructions and place the engraving according to them. 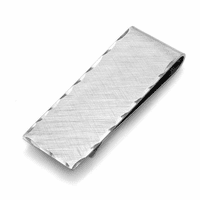 The money clip was engraved correctly and was liked by my husband. The clasp is very sturdy. 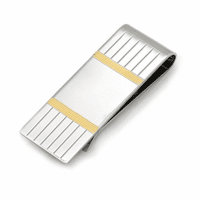 I bought this money clip for my husband as a gift. It is very nice, but not sturdy enough for every day use. It is much smaller and lighter weight than I expected. Also, the engraving is VERY tiny and he couldn't read it (it's only 7 words). I like it but if I'd seen it before I bought it I probably would have chosen a more "heavy duty" selection. ProsVery nice design, not "cheap" looking at all. ConsSmaller than I expected, more light weight. I was a bit leary about ordering this product online without seeing the quality in person. I can honestly say that I was pleasantly surprised...it is absolutely beautiful. 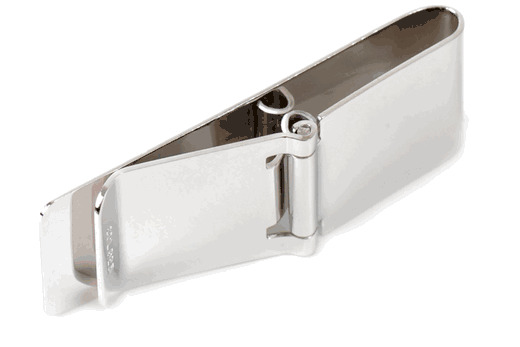 I love the style and I know that my man will really enjoy showing this money clip off. The engraving was perfect. I would not hesitate to order from this site again...very professional, and great communication. I received the engraved product within a couple of days of ordering it...incredibly fast!